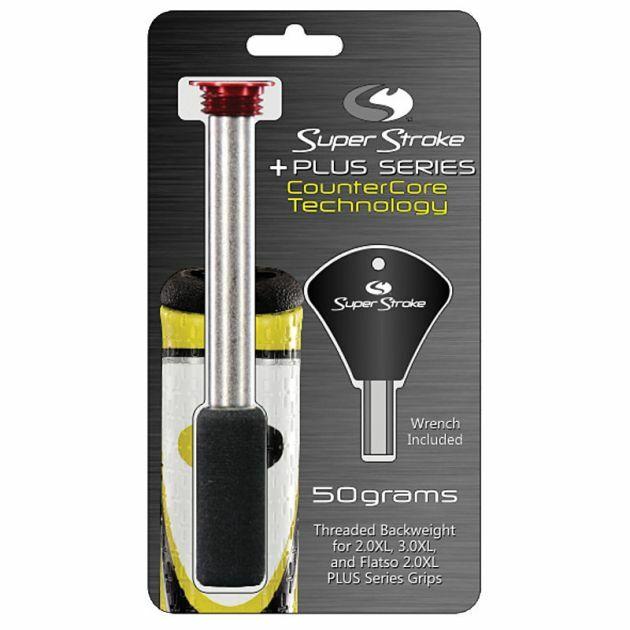 SuperStroke Plus Series Grips provide the ability to add back-weighting to any putter to achieve optimum balance. With a new proprietary threaded cap design, players can quickly and easily install a 50g weight to instantly change feel and balance. 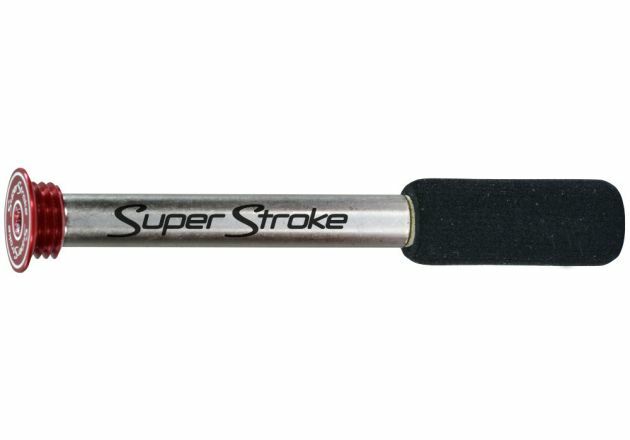 Thanks to the SuperStroke Counter Core 50-Gram Weight, players can adjust grip counterweight to find the ideal weight for them in order to make more putts. Counter Core technology allows the user to change the weight of their grip without having to remove the grip. Back-weighting has never been easier! Threaded-cap design for quick install. Please Note: The Threaded Backweight is designed to fit only 2.0XL, 3.0XL and Flatso 2.0 XL PLUS Series grips, it will not fit any Legacy grips.